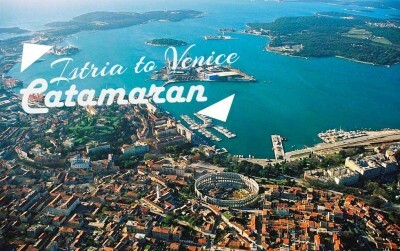 From Istria to Italy by boat? Sure, just pick one and you'll find Istria ferry information - list of ferries running in Istria and their timetables! You can book a ferry ticket with us to avoid all the fuss and waiting in lines. The catamaran line between Istria and Venice is covered by Venezialines, from 25.04.2015. until 04.10.2015.